The Wall Street Journal's Dan Neil says that he admires the inexpensive car segment more than the best Italian sports car offered on the market, but then begins to compare points in the new Nissan Versa Note as if it were a high-end vehicle. Like many "car guys," Neil seems to have a rough time differentiating between the cars regular, everyday people buy and the "driver's cars" that automotive journalists and enthusiasts tend to gravitate towards. This is a problem endemic to the automotive journalism trade as a whole, but Neil's slamming of the Nissan Versa Note in his Wall Street Journal piece (read it here) is a good example of why every review you read should be taken with a lot of salt. When an auto reviewer complains that the suspension is too cushy, the acceleration too slow, etc., they are likely comparing the car to a Ferrari - even if subconsciously. Read John Goreham's 5 important things to consider for more. 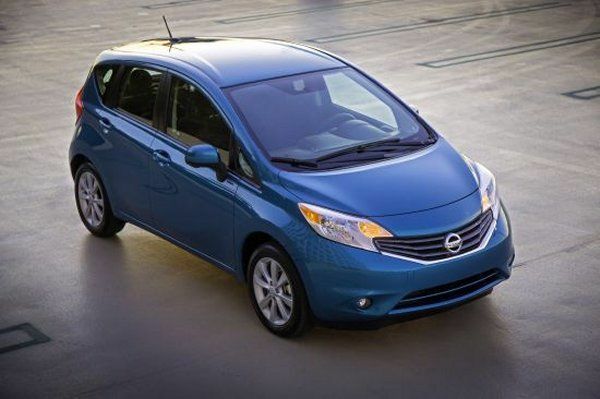 In Neil's case with the Nissan Versa Note, it becomes plain that he does not really like the compact car segment as a car genre and probably doesn't realize what shoppers in this segment want out of a vehicle. Hint: it's not zero-to-sixty speed or Porsche-like styling. It's versatility, low cost, and high reliability. All things that the Versa Note shares with its best-selling Versa sibling. People who buy cars that sell for around $15,000 aren't expecting (or even wanting) a Lamborghini. They're looking for a solid, reliable, inexpensive car to drive every day. They don't go to the race track, they don't compete in street competitions, and they certainly don't enter their vehicle in car shows. Neil's complaints are many. He doesn't like the interior of the car, he hates the continuously variable transmission (CVT), and he thinks the car is too slow. On that latter note, the 1.6-liter dual overhead cam (DOHC) four-cylinder engine that the Versa Note shares with a handful of other small cars in the Nissan lineup is not going to blister the pavement no matter what car you put it in. It's made for fuel economy and reliability, which is what the entry-level segment demands. The CVT is the same one used in the Versa and Sentra and is a solid performer. Neal's complaints are the same complaints most automotive enthusiasts who don't understand the technology have. One thing in particular to note is that in cars like this, which always have excessive road noise because, well, they're low-end, cheap cars, that noise is far lower in one equipped with a CVT than it is in one with a geared transmission. The Versa Note is part of the Versa family and those entry-level little cars outsell the competition for a reason. Sure, maybe the Ford Fiesta is more fun to drive and maybe the Honda Fit is faster or corners better, but neither of those two have the interior volume that the Versa Note does and in cost-comparison, neither of the other two, smaller vehicles can compare. The base model Versa Note is $13,990 while the base price of the Fiesta Hatch is $14,000 and the Fit is $15,425. So for the market it's in, the Versa Note is a good competitor, despite what Dan Neil at the Wall Street Journal, which isn't known for its expertise in cars, has to say about it.